Sensuous and provocative, the Sophia Silky Ladies Slip Dress is an elegant addition to any wardrobe. The seductive tapered waist and flirtatious flared bottom will make you radiantly stand out from any crowd. Alluring bust darts perfectly complement this enticing ladies slip dress. Available in XXS to 2XL and a choice of two seductive fabrics, use your designs to make a custom ladies slip dress that's unique, just like you are. Your feminine ladies slip dress is available in both full length and a saucy mini length which sits mid-thigh. Sophia Silky Slip Dresses are made to order; they are printed by hand with your artwork or design. Choose from one of two luxurious fabrics, both with unique qualities; Butterfly Smooth Crepe, lightweight and chosen expertly for this garment due to it's floaty qualities, or Lustrous Seduction Poly Satin, with a drape that wraps around your body like a second skin. Make your own long slip for ladies online for a unique, elegant garment. The Sophia Slip Dress is also available in a mini version, sitting at mid-thigh level, this seductive and sensual style is perfect for evening wear. Please Note: Warning- Keep Away From Fire. Our Slip Dress is suitable for adults, and children over 10 years. 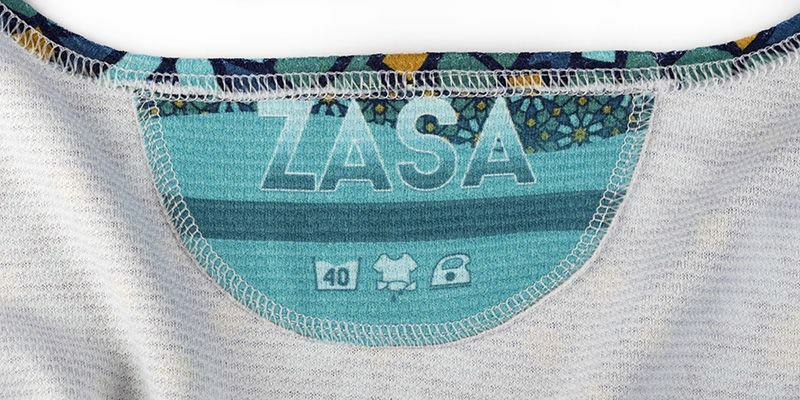 If you are planning to sell your designs, you may want to add your brand name to a fabric label for a professional touch. Each label is designed uniquely when your ladies slip dress is hand made. You could include a personal message or even your customer's name if you'd like to. Custom labels are perfect for building your brand name and becoming instantly recognisable. The Sophia Silky Ladies Slip Dress is so elegant, you could pair it with one out our custom scarves to compliment the flowing flared bottom of the dress. The scarves are available in a choice of five fabrics including Real Silk Satin, so you are sure to find something that will perfectly finish your outfit for that event or occasion, and complement this beautiful slip dress. Turn inside out before washing. Iron on the reverse of the printed side. 30°c wash. Low tumble heat. Do not wring. Low heat iron. Steam safe. Just perfect Good print quality, great communication, fast work. BÂNICCA means exclusive printdesign for all beauties. Long Slip Dress "Lighter Mirror"
Whether you are looking to expand your product range or start your brand from scratch, we can help you sell your designs. We support creative brands and independent designers with our extensive experience of bespoke manufacturing on-demand. We can help you make your idea into a high quality physical product and sell your product how you want to. Slips were originally worn as undergarments for a variety of reasons, but the 90's and early 2000's saw an underwear-as-outerwear trend that saw the creation of the slip dress. This was designed to resemble under slips, and look like underwear, but was very much intended to be seen. Since then slip dresses have become widely worn as evening or cocktail wear. How is my ladies slip dress finished? Every little detail of this slip dress has been carefully considered by our expert at the design stage of this dress. From the spaghetti straps to the bust darts and the v-neck to the hem. Each of the long slip for ladies dresses in hand finished with a neat, elegant pin hem. Even the smallest details have been thought about with this fantastic garment. How many printable areas are there? You can design both the front and back of this beautiful dress, either with the same design, or a different one. It is a large area to customise which gives you a great canvas for your creative flair. The only part of this dress that doesn't come printed with your design is the binding, which is available in either black or white, depending on the thread colour that you choose. Explore Sophia Silky Slip Dress designs in our curated marketplace, created by independent artists and designers. Long Slip Dress "Clouds in Aspic"
Long Slip Dress "Marbled Ice"
We print at 200dpi, which is a good combination of quality and file weight. Ideally, your image should be scaled to 100% at 200dpi; this means that no resizing of your file occurs, preventing any interpolation. Our design interface will have a quality marker next to the design that you have uploaded, this will change colour using a traffic light system and display a message. The message will let you know if the resolution is too low or if you have a good quality image. If each individual colour is specifically important to your design, choose CYMK as our setup will print each colour with the closest possible match within our available range. If the relationship between the colours within the image is more important choose RGB; this will reduce all colours equally to fit within our range. For most of our fabrics, there is no limit on the length of the fabric that you can order. We have a preview design window set up to 10m max to visualise the print, but that's not a print limit. If you'd like to order more, increase the quantity (x2 for 20m or x4 for 40m for example) and then you can order as much as you'd like, with a built-in automatic volume discount too. 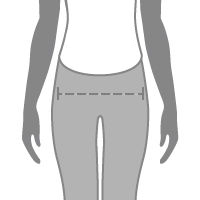 The maximum print width of each fabric can be found on the individual fabric pages or in our design interface. Yes, that might help you! Always incorporate any extra space or borders into your purchased fabric size. We trim squarely around fabric samples and fabric prints, leaving approximately 5mm white space. Cutting neatly on the line has an additional fee. Unfortunately not; we like to test meticulously so that we know what gets best results on our fabrics, and our facilities cater perfectly to them. For multi-coloured or very detailed files we recommend tiff format, but they must be flattened. For simple colours and low detail, jpeg is fine. Just like many fabric printing processes, there is the potential for shrinkage. Depending on the fabric, please expect and allow between 2-8% shrinkage which you need to plan for in your dimensions. This percentage can vary. We do not offer printing on both sides of the fabric, as many fabrics are semi-transparent. As the customer, you can consider the effect of printing on both sides one of our fabrics and contact us, and we will get back to you if it's feasible. Can I order labels in another fabric? Will you cut them as you do with the normal fabric labels? At the moment our labels are all printed on the same satin fabric. We may introduce more in the future, but for now, this is the best choice. You can order the fabric of your choice and make the labels yourself, but we do not cut different fabric into labels. With environmental consciousness in mind, our fabrics are printed using water-based inks. This means no chemicals or solvents are used. Our heat procedure fixes the colours and prints, avoiding the downsides of steaming, such as excess or contaminated water returning into the waste system. We have one facility in London where we conduct all the printing, production and fulfilment. After your item has been manufactured, we ship your order via your chosen method. Please add on the production time to the delivery time to calculate when your order will be with you. Select your delivery method in your basket. Royal Mail 1st Class Standard (no tracking) - 1-5 working days on average (please note that this can take up to 15 working days in exceptional circumstances). Royal Mail 1st Class Recorded (no tracking) - Usually delivered the next working day. It is not a guaranteed next day service, or a tracked service. A signature is required. (Please note that this can take up to 15 working days in exceptional circumstances). For international orders or large/bulky packages within the UK, we ship via DHL or Fedex services. This takes on average 2-5 working days. Produced and ready to ship within 1-3 days on average. We print and make everything in-house. Production times are dependent on the product. From £1.25 to ship within the UK.